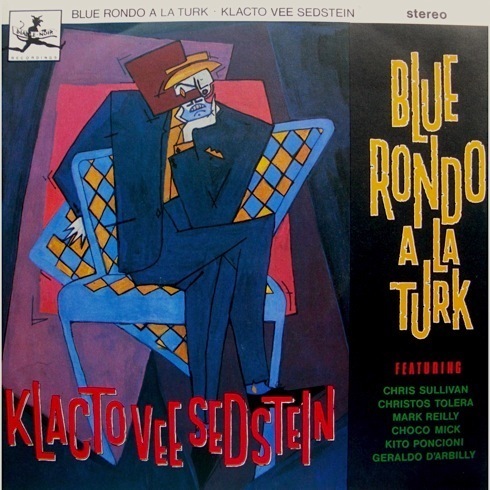 ◼ AIRED TODAY AT YOUTUBE: A long-lost live performance by London’s Latin jazz-soul band Blue Rondo à la Turk on German TV in 1983 complete with classic dance breaks from Moses and Sullivan in Aubrey Beardsley hair-do. The line-up dates from about 1982–3: Chris Sullivan and Christos Tolera (vocals), Moses Mount Bassie (sax), Art Collins (sax), Peter Tsegona (trumpet), Geraldo Darbilly (percussion), Greg Parker (guitar), Robin Jones (congas/percussion), Kito Poncioni (bass) and Daniel White (keyboards). At this time Sullivan says: “Mark Reilly had left to form Matt Bianco. Kito carried on for a few months as he needed the money.” Then he and Daniel White left to join Matt Bianco which enjoyed several UK hits. By the time Blue Rondo released its second album album, Bees Knees and Chicken Elbows in 1984, the band had sadly disintegrated. Their first album Chewing the Fat was easily the best new album of 1981 in terms of musicality and attitude. 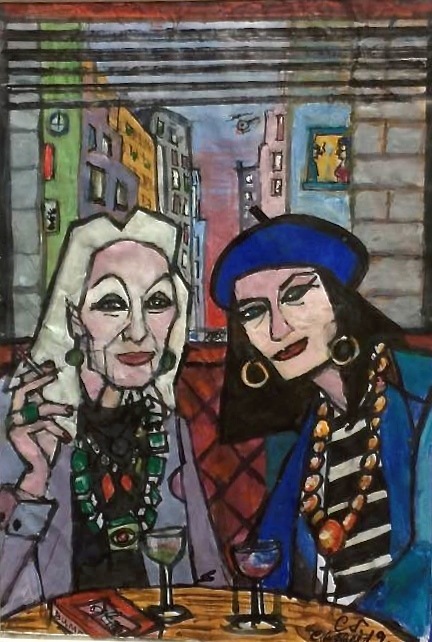 Sullivan of course went on to run Soho’s Wag Club for 19 years and make it a legendary showbiz rendezvous. 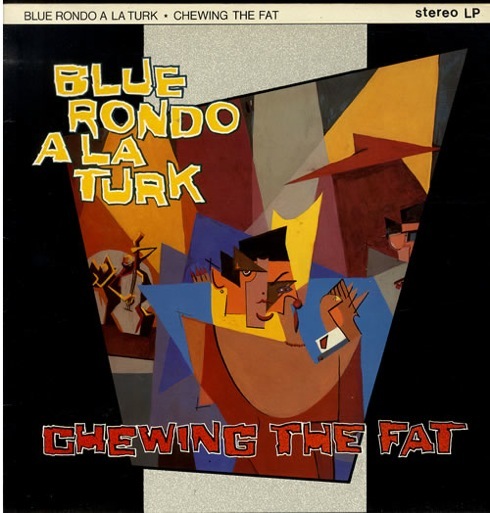 ➢ In June 2014 a double-CD entitled Chewing the Fat was issued by Cherry Red Records (CDBRED621) – They include 29 tracks, which are all of the group’s recordings on the original album, and various bonus tracks, 7in and 12in specials, plus remixes. ❚ PROMISES! PROMISES! 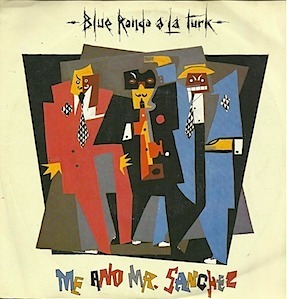 All-round clubbing maestro Chris Sullivan has been faffing away for a year since he got his hands on the original master-tapes of his stand-out Latin-funk dance-band of 1982, Blue Rondo à la Turk. 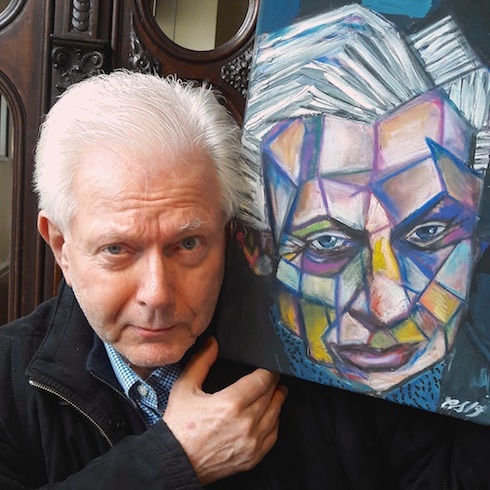 Going public on Facebook today, he dares to promise a re-release of their first album Chewing The Fat this spring (having originally mooted it for last spring), meanwhile posting online a punchy fresh mix of their debut chart single, Me and Mr Sanchez. Since then Sullivan has released a handful of mixes from the putative new album, including an earlier mix of Mr Sanchez about which he acknowledged that the dean of swing, ex-Rondo guitarist Mark Reilly, “did the lion’s share”. ❚ TWO VINTAGE MUSICAL GEMS appeared online this week, casting a fresh magic spell. 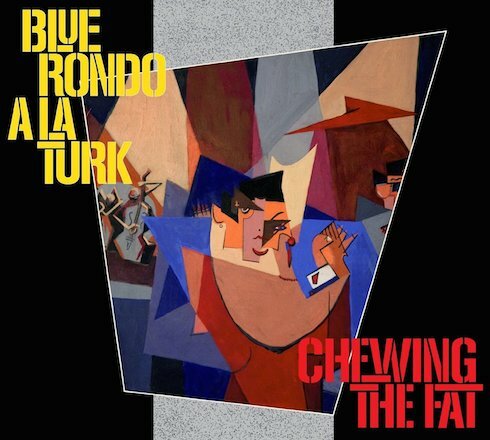 They are two tracks from Chewing the Fat, the debut album by the image dance-band of 80s clubland, Blue Rondo à la Turk. In the view of Shapersofthe80s, the 9-track stereo vinyl LP was then and remains now the standout pop album of 1982 for sheer verve and originality. 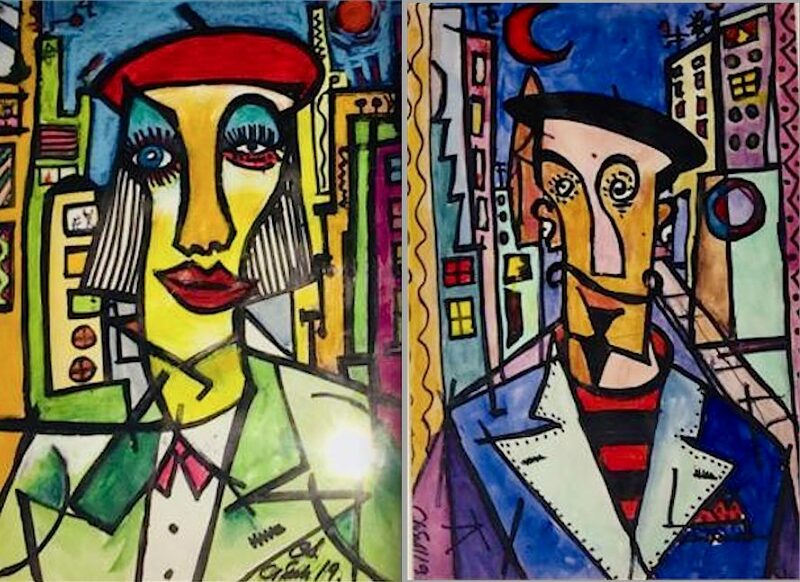 Chris Sullivan, the band’s driving force who went on to run Soho’s Wag club for 19 years, has been remixing the Diable Noir masters which became available only a few months ago. Best revelation from Sullivan also came this week: “Expect a digital re-release of our album Chewing The Fat in the spring. I’m quite shocked by how well it’s aged.” He’s not wrong there. ♫ Sullivan also offered an hour-long Mutant Disco mix for a recent Mark Jones show on BBC 6Music – The party kicks off with Contort Yourself (August Darnell remix from the 1979 US 12-incher) by No Wave pioneer James White & The Blacks on ZE Records, the boutique label based in Paris and New York which recharged the disco genre with edge and credibility while Manhattanites pursued dance-oriented rock and Euro-disco wandered its own byways, both folkloric and electronic. 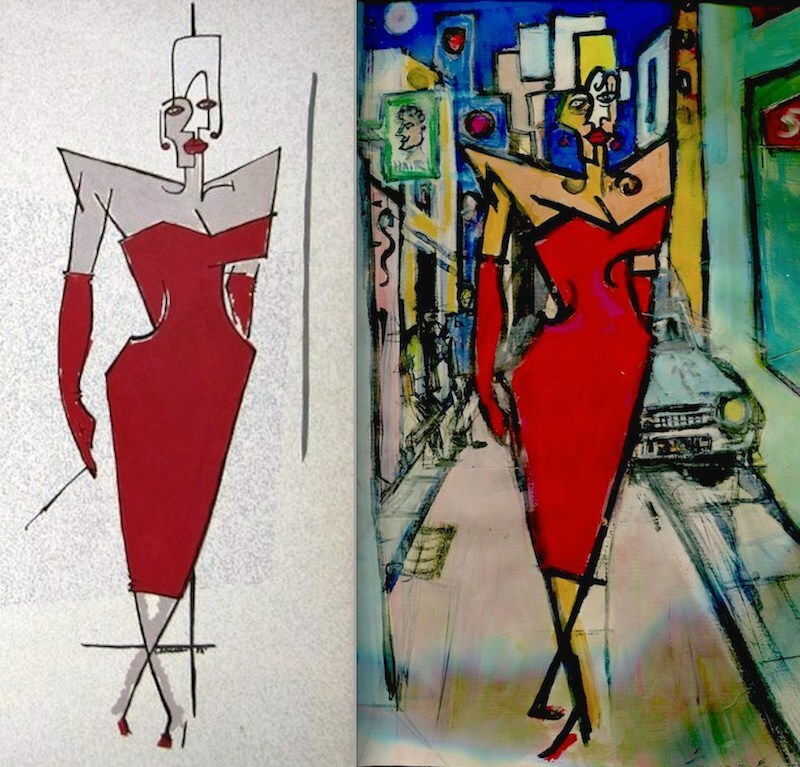 Launched in 1978 by British-born old Oxonian and Mothercare heir Michael Zilkha, and French graphic artist Michel Esteban, ZE selected style-leading eccentrics of the day to redefine upfront New York disco. The Sullivan mix includes ZE artists such as Lizzy Mercier Descloux, Kid Creole & The Coconuts, Was (Not Was), Coati Mundi, Material, though alas no Cristina. 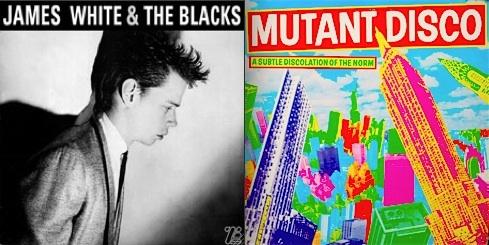 The title of ZE’s witty vinyl cocktail of acts tagged “A Subtle Discolation of the Norm” put the term Mutant Disco into the language in 1981, and acted as soundtrack to the first Blitz invasion of the US that spring. 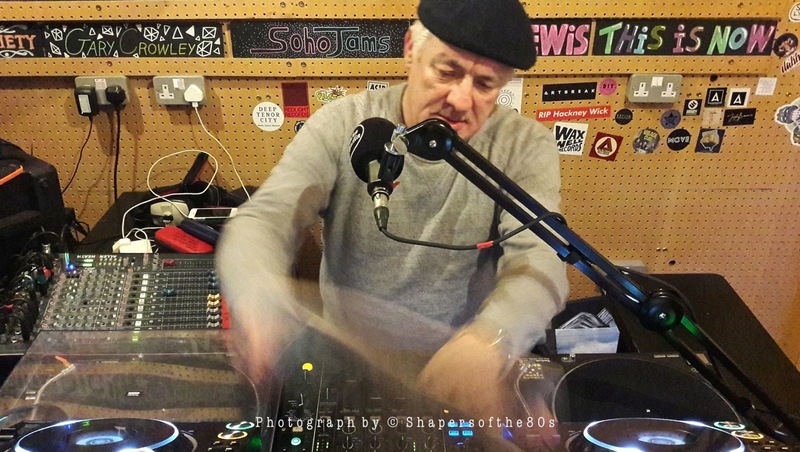 Sullivan explains, Dec 3: “Here’s a live mix straight off the decks I did for Mark Jones Back to the Phuture show on BBC 6Music. Kinda all that early 80s electro Ze records stuff we loved and still do … They’ve edited some of the mixes but still it’s a bit of a gas … With a few exceptions this is what I played at Hell” [the Blitz crowd’s breakaway club of 1980].